A veteran burned himself alive outside of a Veterans Affairs facility in early 2016 after the clinic repeatedly failed to provide him mental health support despite constant pleas for help, according to an investigation into the death. "It's an absolutely tragic situation," he said. "No veteran should have to wait three months for an appointment—that is completely unacceptable. 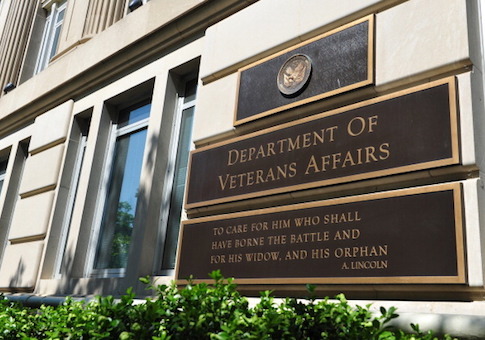 It's important to note this case is from March 2016, but some of the issues that created this problem still exist today, especially in getting veterans access to care in a timely manner." The delays to Ingram's mental health treatment began in Fall 2015 when a New Jersey veterans' clinic cancelled an appointment for Ingram because a provider was unavailable, then failed to follow up to reschedule the appointment. When Ingram walked into the clinic a few months later to request an appointment with his psychologist, VA staff didn't schedule a visit until more than three months later. He had lost his job and was facing a divorce. Shortly before the date of his rescheduled appointment, Ingram drenched himself in gasoline and lit himself on fire in front of the facility. A firefighter who responded to the incident told the Daily Beast last year his body was "100 percent burned." The investigation determined the VA facility failed to provide Ingram with proper supervision and scheduling oversight in the 11 months leading up to Ingram's suicide. The inspector general said it couldn't determine whether an earlier appointment would have changed Ingram's decision to commit suicide, but said the staff's failure to follow up on no-shows, clinic cancellations, termination of services, and medical care outside of the VA "led to a lack of ordered therapy and necessary medications" and "may have contributed to his distress." In response to the suicide, the New Jersey facility hired additional staff and reinforced its capacity to provide psychiatry and psychology services for veterans suffering with mental health issues, the report said. VA spokesman David Cowgill said the investigation's findings "highlight unacceptable problems" that the agency has moved to remedy through several reforms, including removing the facility's medical center director, assigning regional officials to take over management, establishing same-day mental health services for urgent cases, and prioritizing suicide prevention efforts.